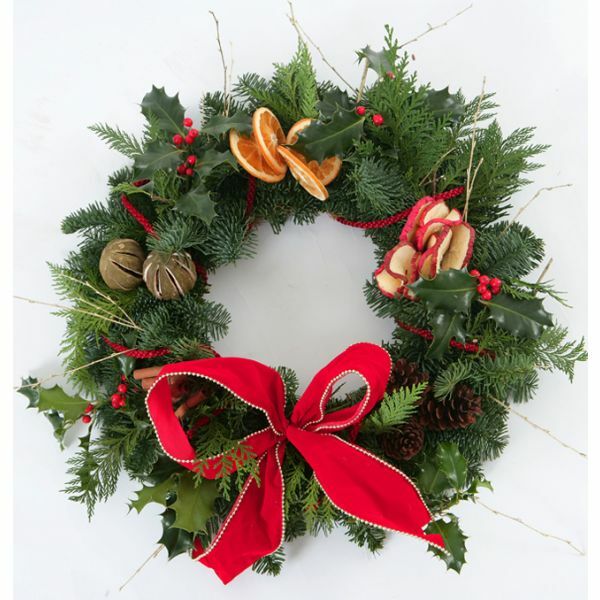 A simplistic mixed foliage wreath suitable to be laid on a grave or area of remembrance. Fiished with a touch of decorative accessories. Please note individual decorations may vary to that shown. 12 inches / 30cm approx size.